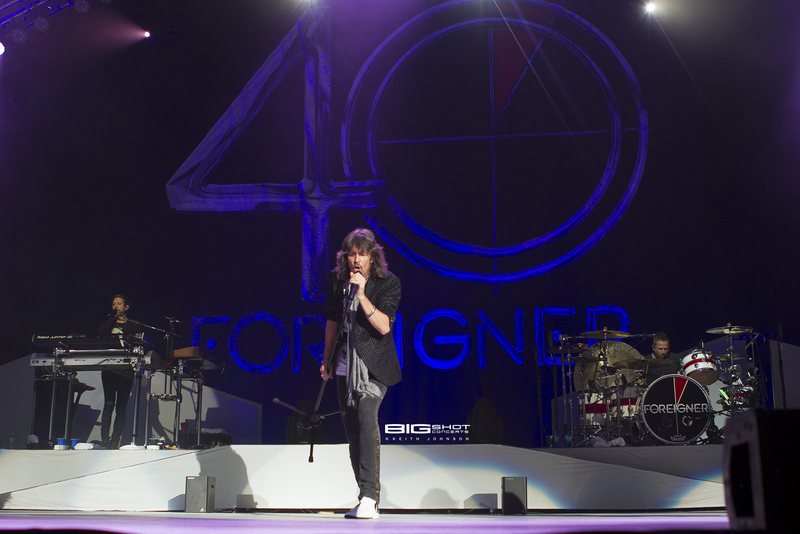 Classic rockers Foreigner celebrated 40 years of hits when they performed at the Coral Sky Amphitheatre in West Palm Beach, Florida. 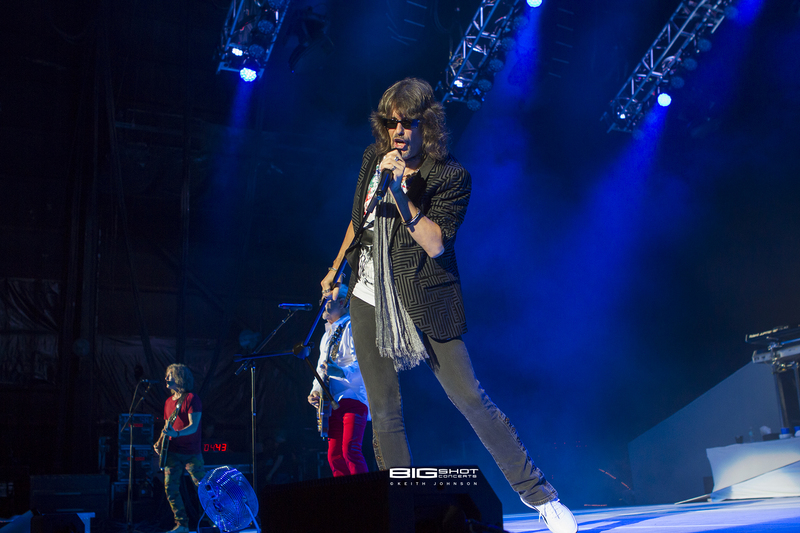 Foreigner arrived on the rock and roll scene in 1977 and immediately felt right at home on FM radio stations and concert stages around the world. 40 years later, the band is still welcomed with open arms wherever they play. 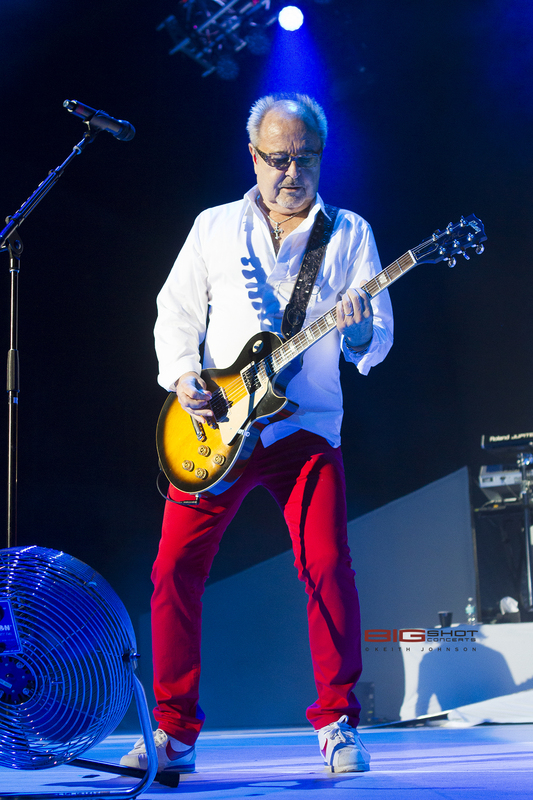 Mick Jones has been with Foreigner since the beginning and is now last original member of the band. 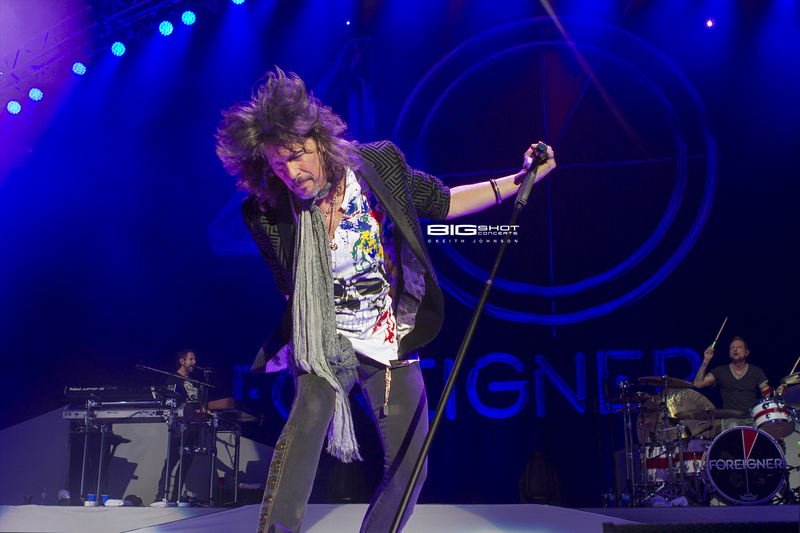 These days, he’s much less a dirty white boy and much more a seasoned rocker. His vocals on the haunting “Starrider” stirred the crowd into an excited chill while his heavy-handed piano playing warmed up the crowd during “Cold as Ice.” At 72 years of age, he doesn’t bound from one end of the stage to the other, but he doesn’t have to. 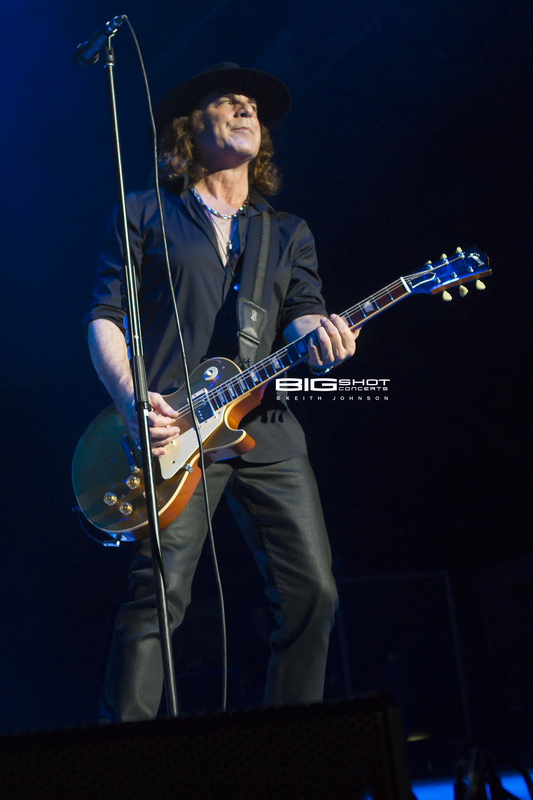 Mick is still looked upon to lay down heavy lead guitar riffs with plenty of authority — a suitable role for a patriarch figure. 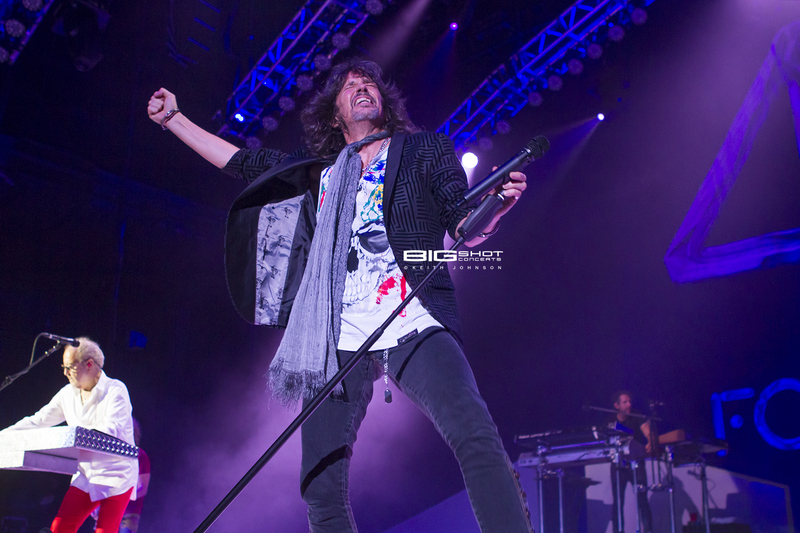 In contrast, lead singer Kelly Hansen was a whirlwind of motion. One moment, the tall and agile frontman was at the edge of the stage twirling his microphone stand just beyond the reach of screaming fans. The next, he was running toward the drum riser. 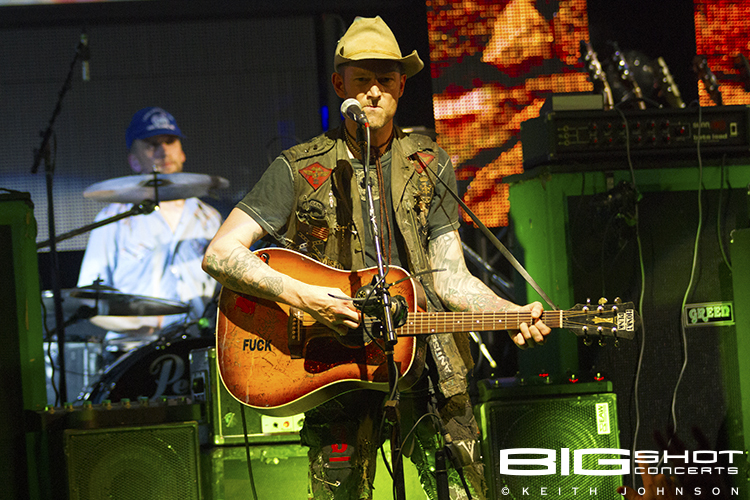 Sometimes, Kelly would just come to a halt and feed off the energy of his bandmates and audience. Though he never really needed any recharging, he was right back on the move high-kicking and belting out lyrics to songs that American muscle cars from the 80s would have had blaring from their speakers. 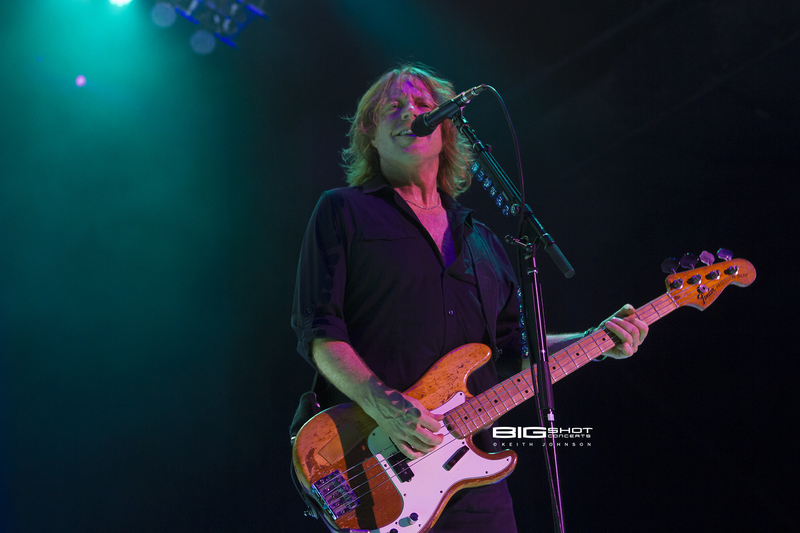 When they say “he’s a rockstar” about Jeff Pilson, you can be sure it’s not just praise lauded without merit. The bassist cut his teeth with Dokken and later went on to join Dio. 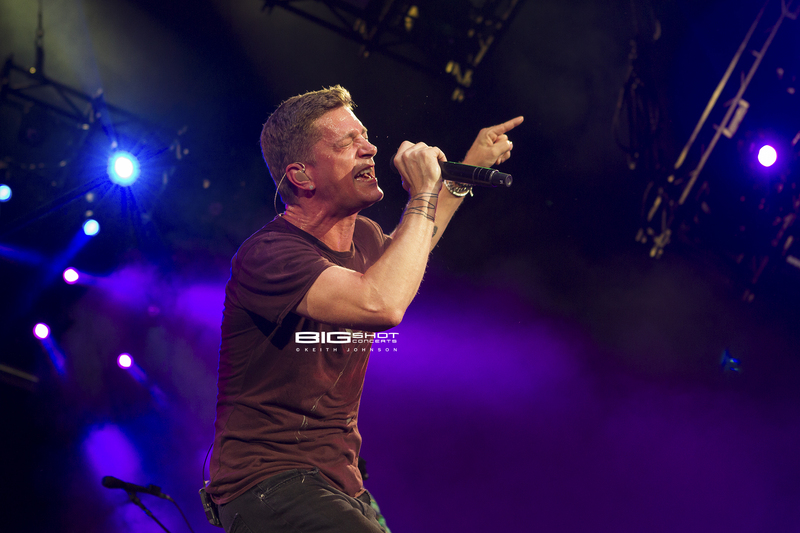 His tour of duty with Foreigner has lasted more than 10 years and he commands the stage like a veteran musician. 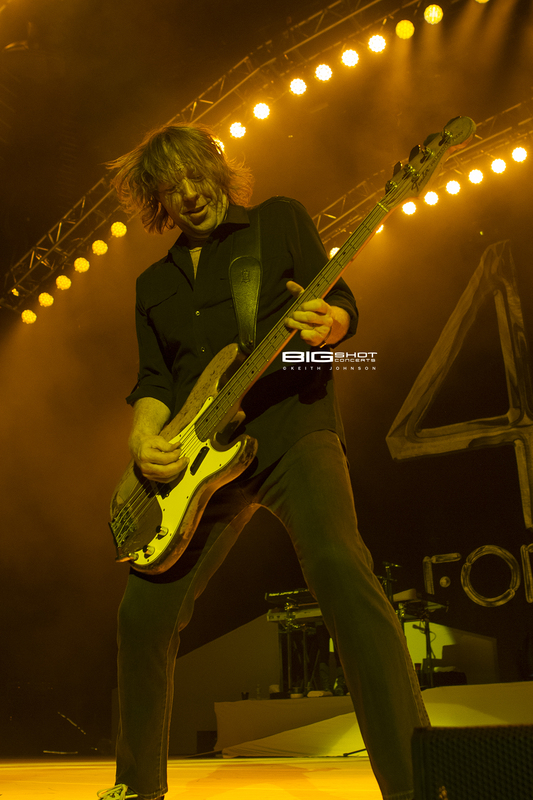 Throughout the night, Jeff kept the low end all amped up with genuine exuberance. 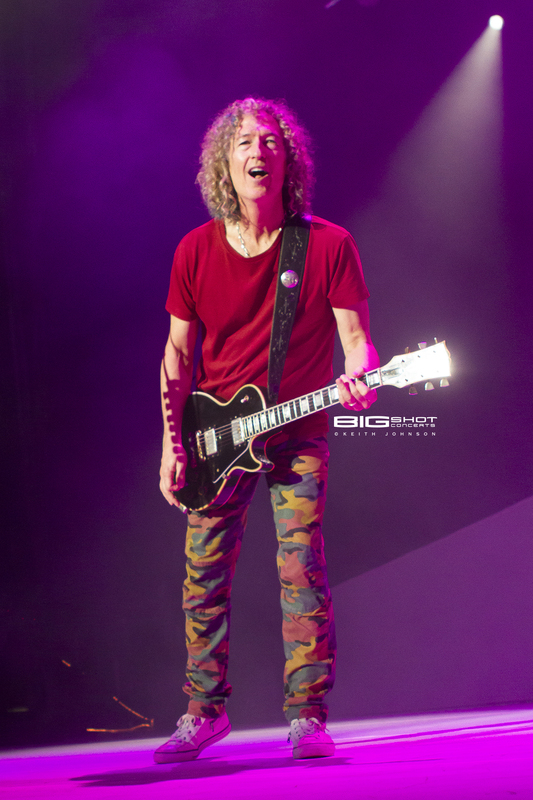 It was easy to see he really enjoyed playing live by the smile peeking out of his flailing locks of hair. Fans sitting on his side of the stage might have been lucky enough to go home with one of the bass picks he jettisoned out. 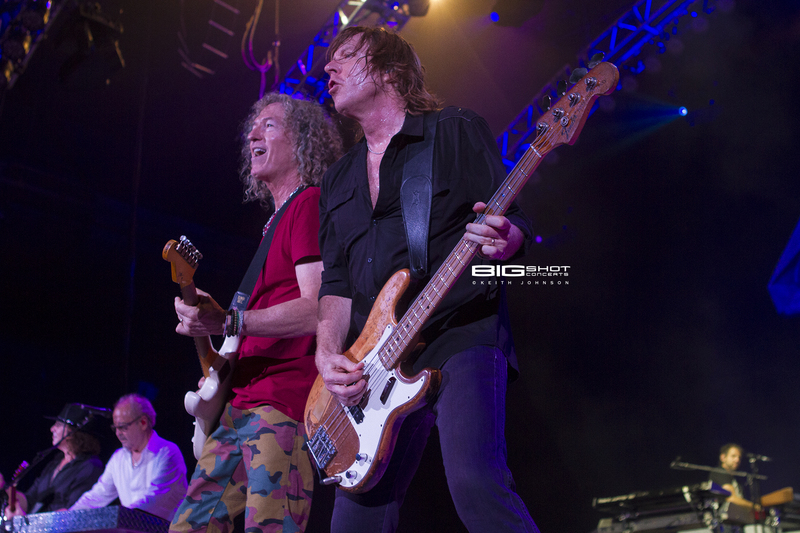 As the Foreigner 40th Anniversary Tour roadshow played on, multi-instrumentalist Tom Gimbel peppered in a powerful saxophone solo on “Urgent.” Michael Bluestein synthesized the audience during “Waiting for a Girl” Like You while Bruce Watson made his six string scream on some of the band’s most popular hits. 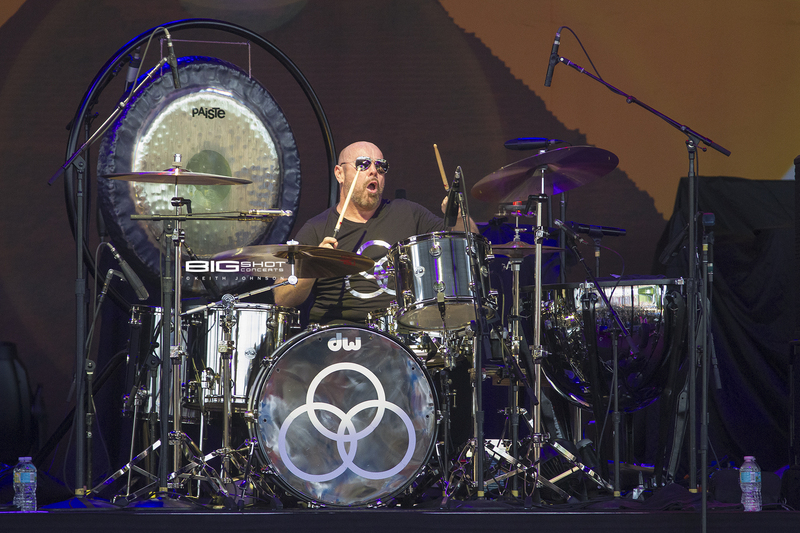 In the background, drummer Chris Frazier pounded his kit and turned up the tempo by tossing his drumsticks into the air and then catching them without ever missing a beat. According to anniversary guidelines, a ruby is supposed to be given as a gift for the 40th year. That didn’t happen at this show. 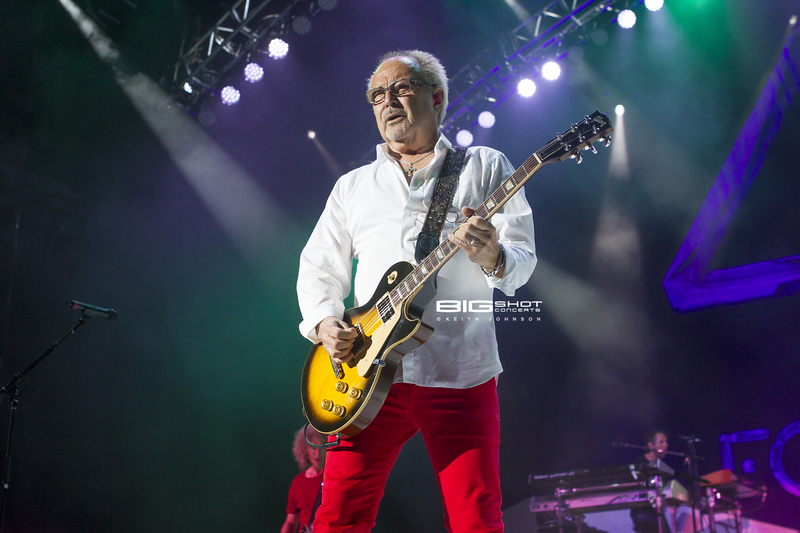 Instead, Foreigner gave the fans 40 years of hits. 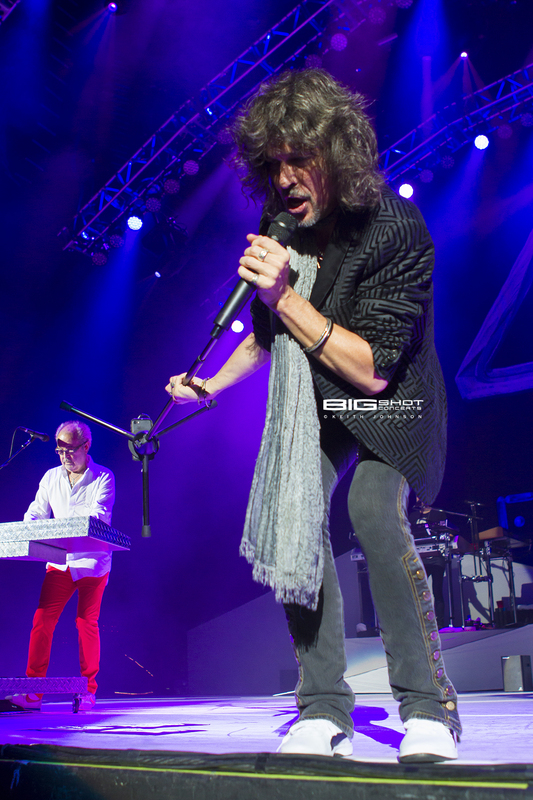 In return, the fans gave Foreigner all their love and support. Seems like this relationship has what it takes to be golden in the next ten years. 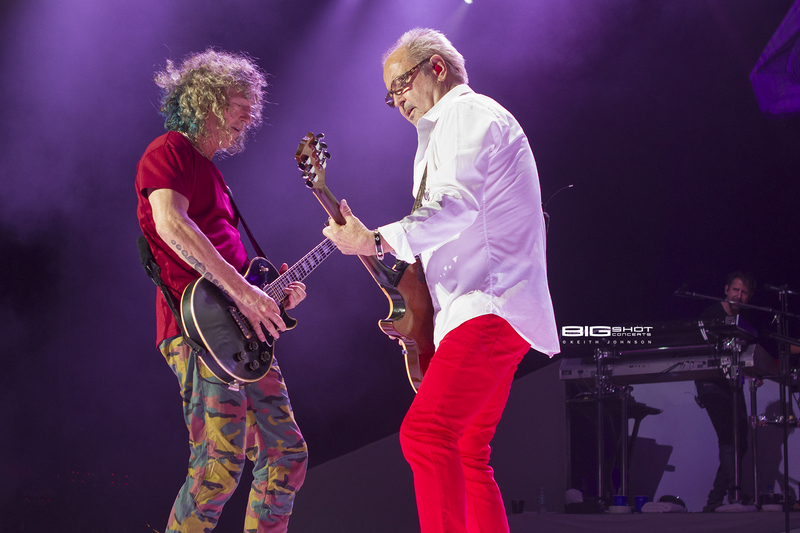 When Cheap Trick took the stage, the question at hand was: “Are you ready to rock?” The answer was a resounding “Yes!” Illinois’ favorite rock sons proved that they’re still alright and capable of kicking out the jams. The goofy persona of guitarist Rick Nielsen hasn’t lost any goofiness — and his guitar playing remains stellar. If anything has changed, it’s the number of picks he zips out into the audience. That amount seems to increase with every tour. Robin Zander is, and will always be, the consummate vocalist. He sang hits and covers with equal aplomb as many women in the crowd fell into a swoon. 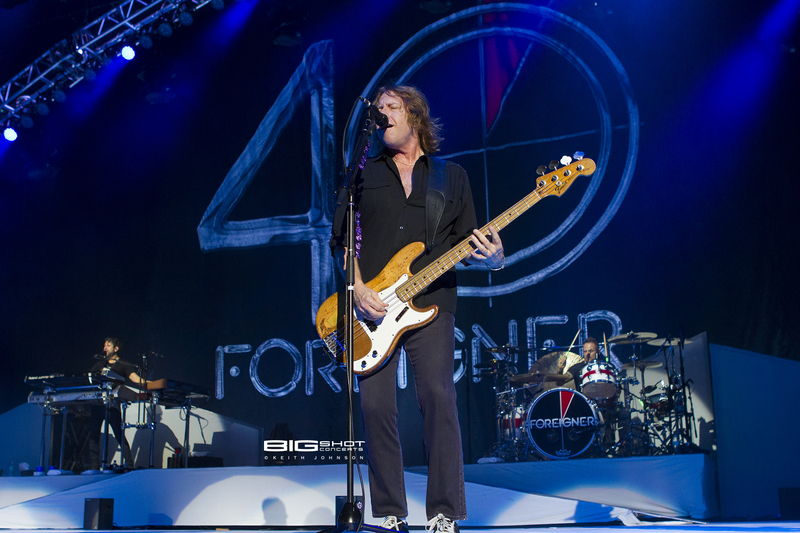 Bassist Tom Petersson was reserved with his movements, but still kept a steady rhythm. He got the crowd up on their feet when he took over the microphone and sang “I’m Waiting for the Man” by The Velvet Underground. Cheap Trick is rounded out by drummer Daxx Nielsen, the spunky son of the six-string maestro. 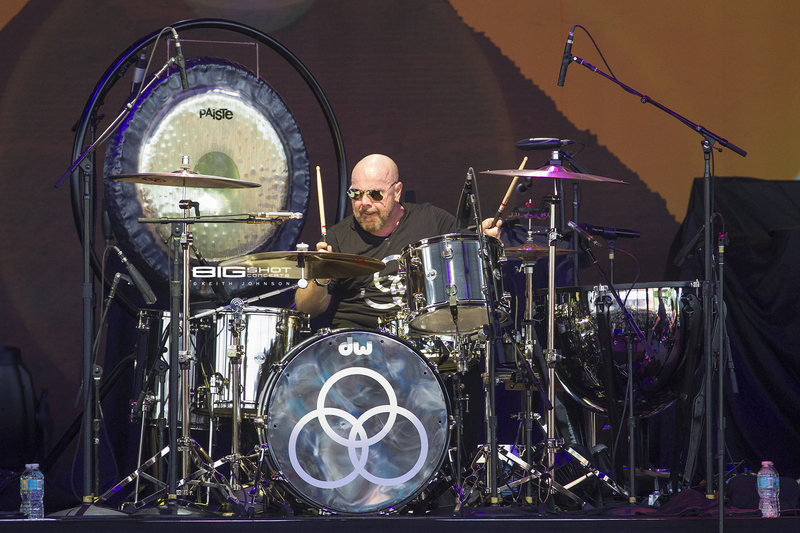 There was a whole lotta love for Jason Bonham’s Led Zeppelin Experience when they took the stage at Coral Sky Amphitheatre. 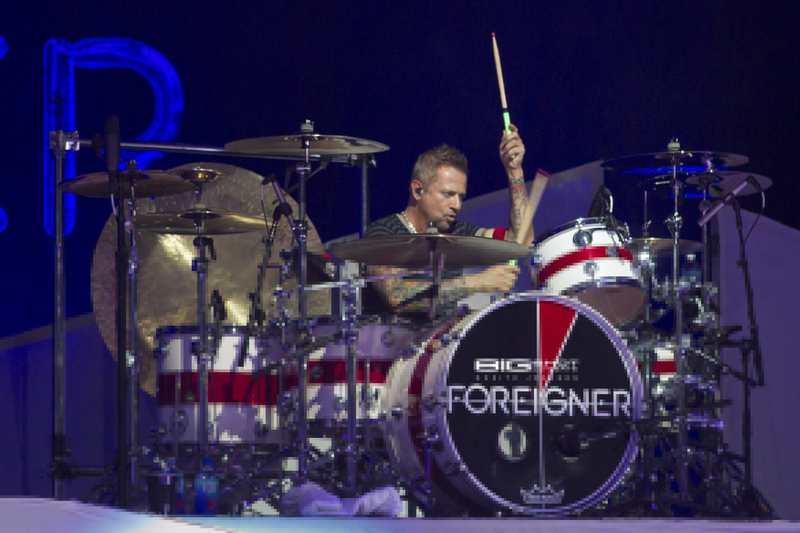 The second generation drummer has been out on the road performing the songs of this iconic band since 2010. 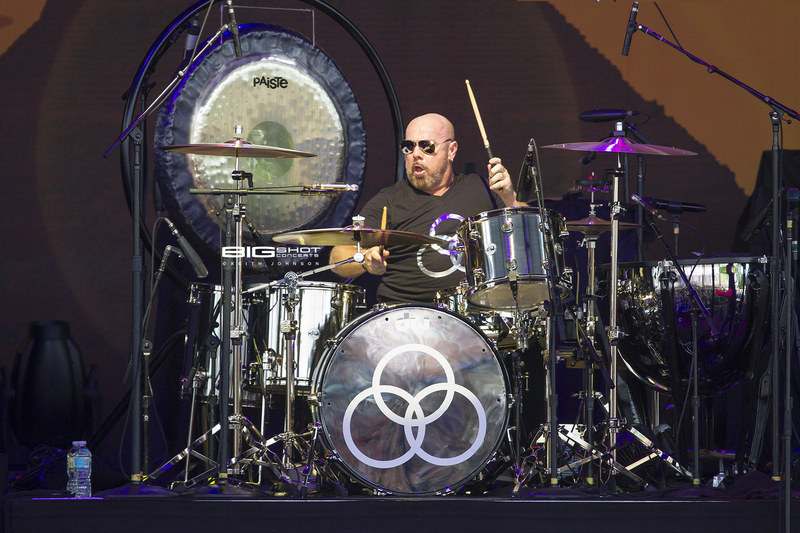 It is, of course, his legacy to ramble on and sit behind a drum kit while playing the Led Zeppelin songs that made his father famous. Great pics! 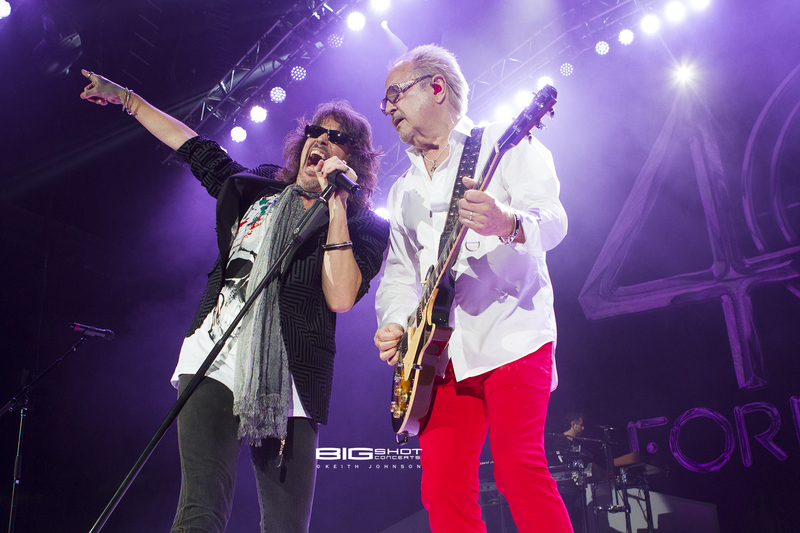 Sounds like Foreigner still puts on a decent show! Awesome review! Solid write up on your site of this event well done ! 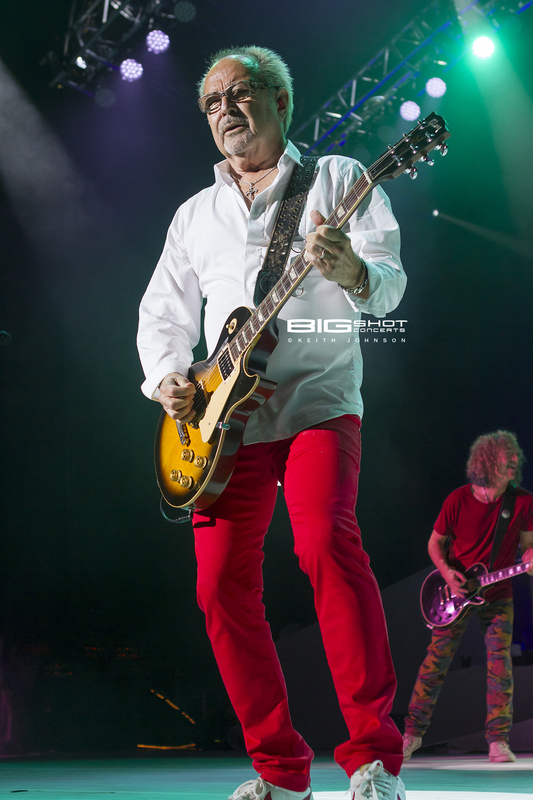 I myself covered them In Raleigh could not understand why Bonham didn’t allow photographers to shoot & I see that you were given pass for him ..I only shot Cheap Trick & was asked to sign waiver bs …3 songs & gone rule ! same for you ? 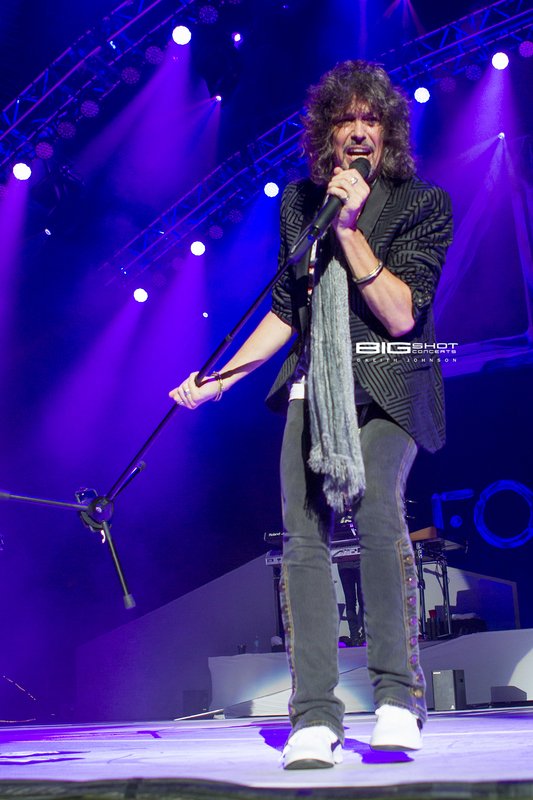 Didn’t stick around for Foreigner wasn’t going to wait over an hour just to be limited to 3 and done !